Like Water, the documentary film about UFC middleweight champion - Anderson Silva - is like martial arts itself. It is a focus on the journey as much as destination. Like Water is a MMA documentary movie that features the journey of UFC middleweight champion — Anderson Silva. The film follows the middleweight king during the most turbulent times of his fighting career, after baffling Demian Maia in April 2010 to his career-defining victory over Chael Sonnen. 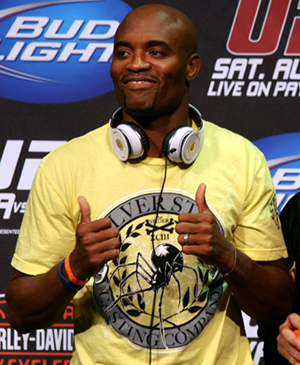 Like Water will also show Anderson Silva as a family man. It deals with how the UFC champion left his wife, three sons and two daughters in Brazil to train with Team Black House in Los Angeles for two months prior to his fight against Chael Sonnen. Fans will also get a full view of the burden placed on his shoulders due to huge expectations from the audience and critics. Like Water is a film that catches the greatest triumph of one of MMA’s greatest champions for 75 minutes. It’s a valuable snapshot of a sport that lacks historical perspective.